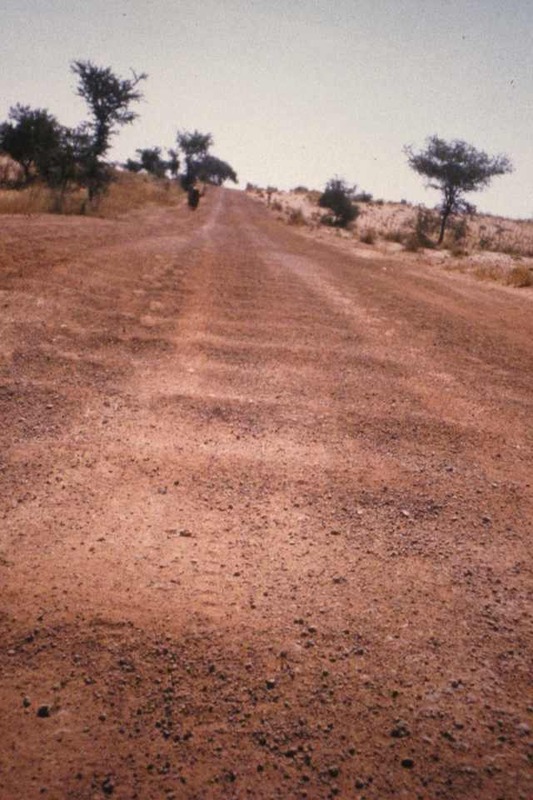 Washboard road we traveled for quite some distance in the Sahel (not quite desert just south of the Sahara desert). I am pretty sure this is in Niger, if not, it is in northern Nigeria. At least in my memory we saw more camels than other cars on this portion of the trip. I think it was just parts of 2 or days but as you can imagine driving over that is a bit annoying.